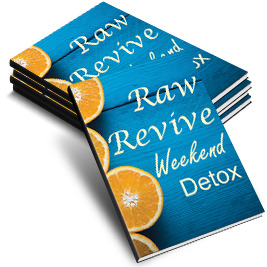 My raw food story has been such a personally life-changing experience that showing people how they can begin this transformative way of living has become my passion. My life is proof of of the power of raw food. I was an ordinary and unhealthy woman who has experienced the extra-ordinary mind, body and spirit results of eating a diet high in raw foods. I had a wonderful and eclectic childhood, lucky enough to grow up with an awareness of healthy food. My mother was into organic and whole foods when the idea was just a bud in the minds of the western consciousness. The influence of growing up with this particular understanding of diet was twofold 1) I understood that what we eat effects us on many levels, and 2) from the age of 13 I totally rebelled against the brown bread and salad teachings of my mother! And so, for almost 20 years chocolate bars, white bread, cakes and sausages entered into my life on a daily basis, as well as an emotional over-eating habit. I discovered in my teens that I had intolerances to wheat and sugar and that they left me feeling bloated, moody, tired and sore. I went through phases of trying to cut them out, but mostly just ignored the discomfort they put me in. Of course, all this ignoring of my body’s signs ended up with me feeling less and less well. I had IBS, eczema, sore joints, bad skin, a terrible memory (forgetting what I was saying half way through sentences many times a day) and stress related emotional issues. I was a physical wreck, with my mind and emotions not far behind. All by the age of 32! I found out about raw food as a way to eat 3 years before I actually did anything about it. I’d always believed that we have the ability to heal ourselves given the right tools. After a life-changing car accident killed one of my sisters, left another with a broken spine and me in intensive care I decided it was time to actually do something about my health. There is nothing quite like coming close to death to affirm how important life is. I was convinced that if I carried on the way I had been with my diet my health would continue to go down hill and I I would end up with bowel and brain disease. Obviously I didn’t want that. After the accident I knew I wanted to recover from the trauma and grief and I wanted to be vibrantly alive, physically well and deep-down happy. And I wanted to help others to do the same. I did two weeks of raw in the middle of winter, to see if it was possible and how I would feel. I felt amazing in just a short time! My fear of raw food being boring was totally unfounded, as I discovered the delicious recipes in Juliano’s Uncook Book. My memory came back and my IBS eased. All within 2 weeks. I was sold on raw food! And so my work now is all about coaching women to find the alignment within themselves so that they can experience physical vitality, deep confidence and a sense of connection and excitement about the life they are creating for themselves, day by day and into their future. 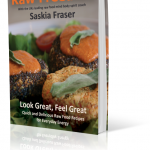 ARE YOU READY TO FEEL AMAZING AND DISCOVER YOUR RAW FOOD STORY? Sign up below to join our Raw Freedom tribe – we’d love to have you with us on this journey called Life!